This organic Chinese tea is often referred to as eyebrow tea due to its eyebrow-shaped tea leaves. The leaves are hand-picked during early spring to result in a floral and robust flavor without the bitterness often associated with this type of tea. 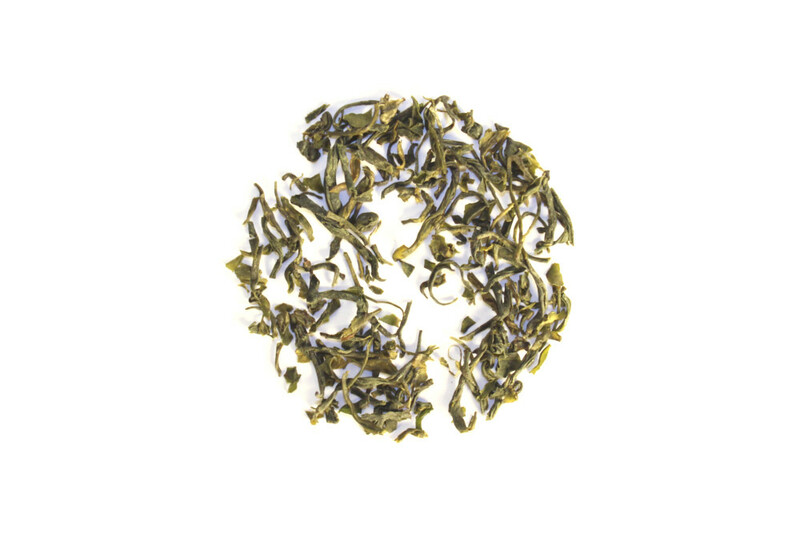 The rich green tea leaves brew to reveal a bright jade liquor with a fresh aroma, balanced earthiness and smooth, subtle finish.